This doesn't seem to have anything to do with ubiquity. I downloaded the daily-build (32 bit) and the beta-1. I upgraded an existing virtual machine with the last one. 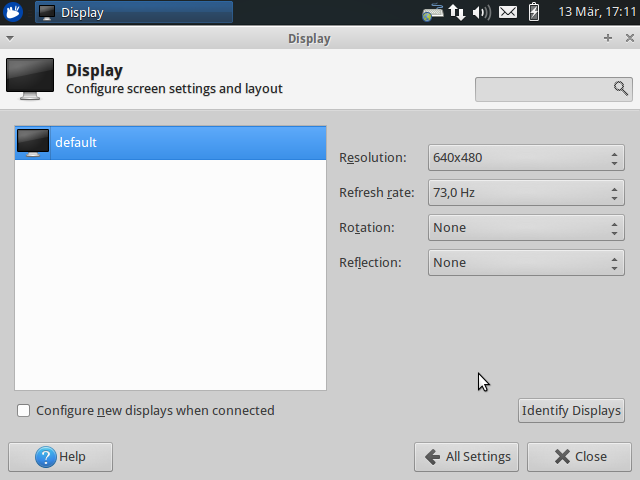 Ubiquity is running in the right screen-resolution of 1024*768. After upgrading the virtual machine booted with a 640*480 screen resolution. I installed then the daily build into another virtual machine (I did a full install) and encountered the same problem. Installation is ok, but you get a very small window of 640*480 after starting up the virtual machine. Pretty sure this is a vbox issue, trusty has been patchy with vbox here - have you installed guest additions?